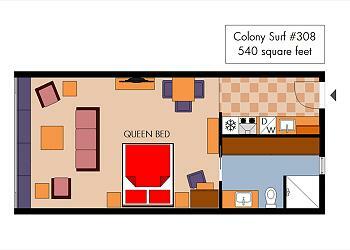 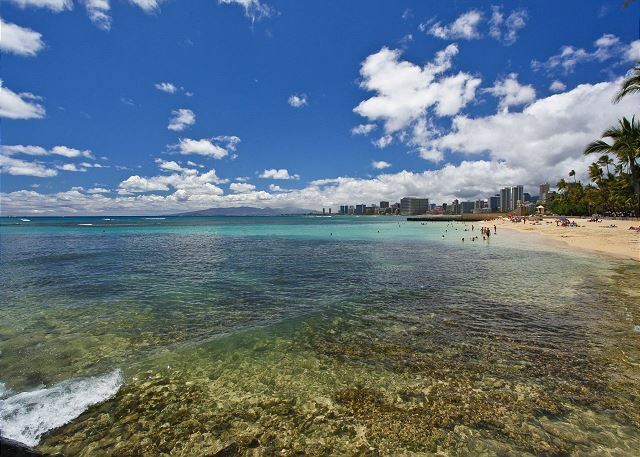 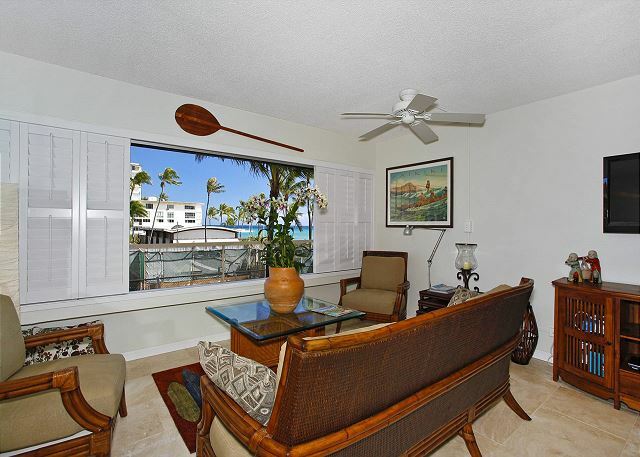 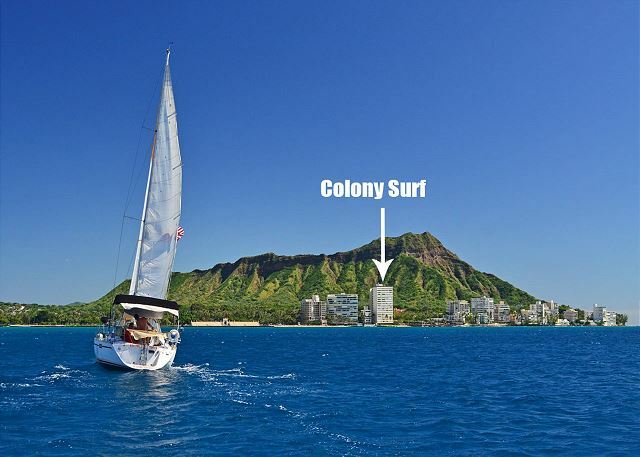 Colony Surf #308 - Beachfront Diamond Head views, Quiet End of Waikiki with Swimming/Surfing! 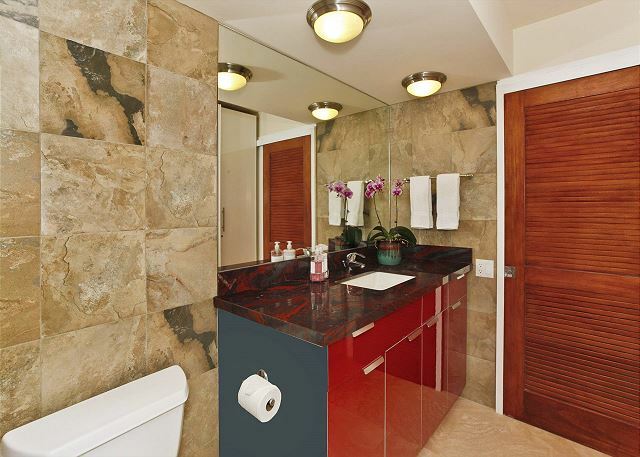 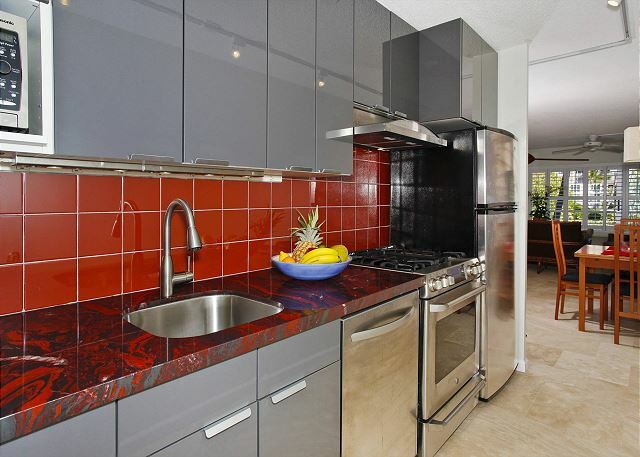 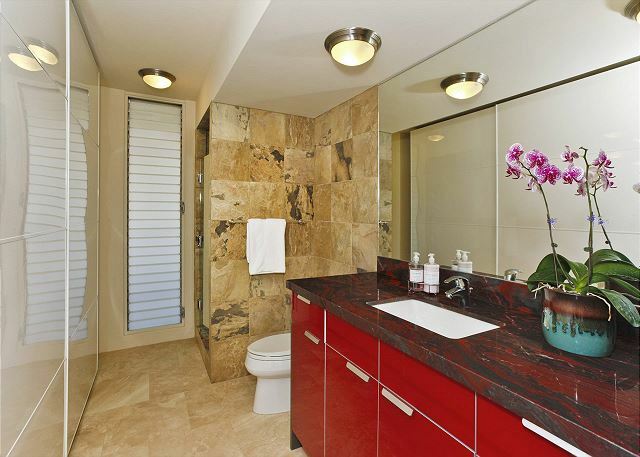 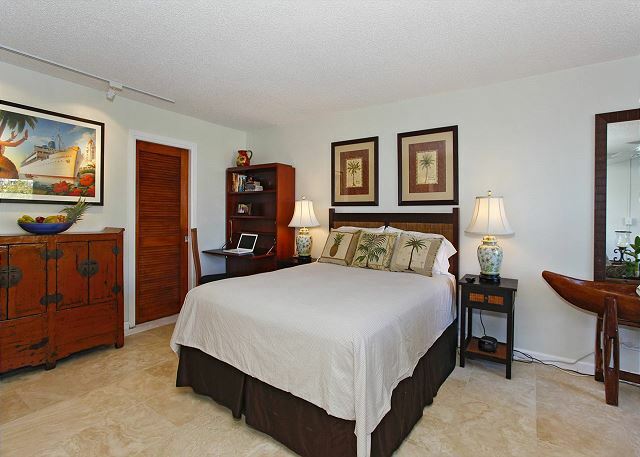 A contemporary tropical theme lends tranquility to this recently remodeled 540 sq.ft. 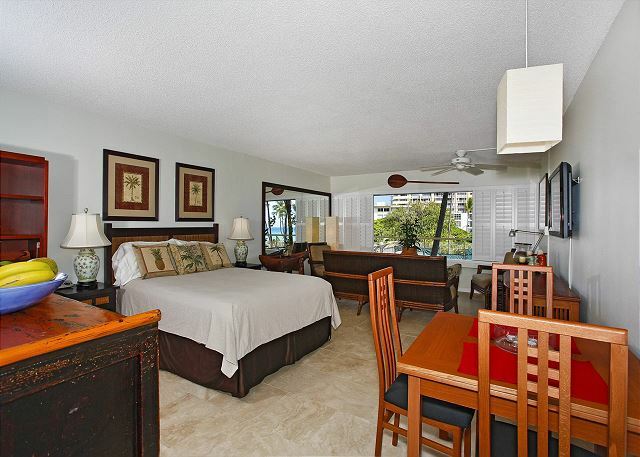 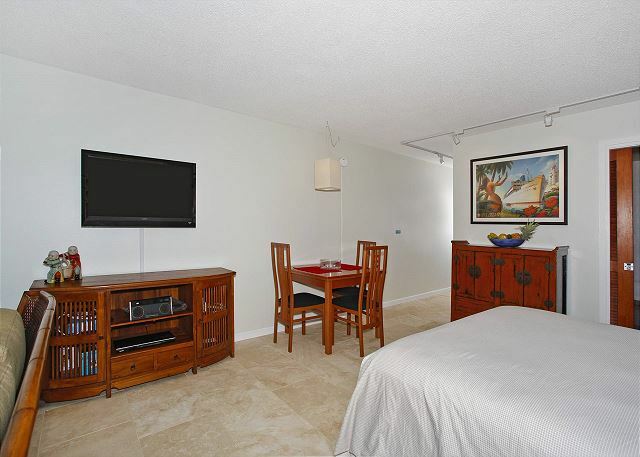 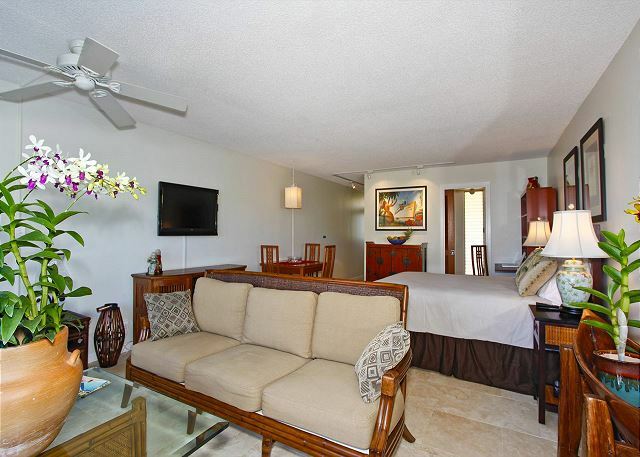 studio in the beachfront Colony Surf at the quiet end of Waikiki! 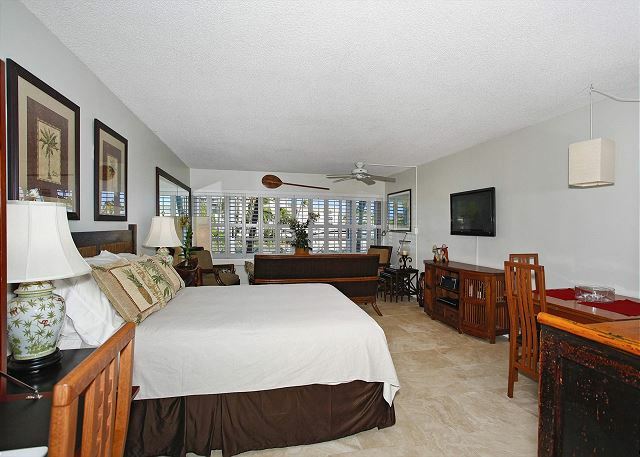 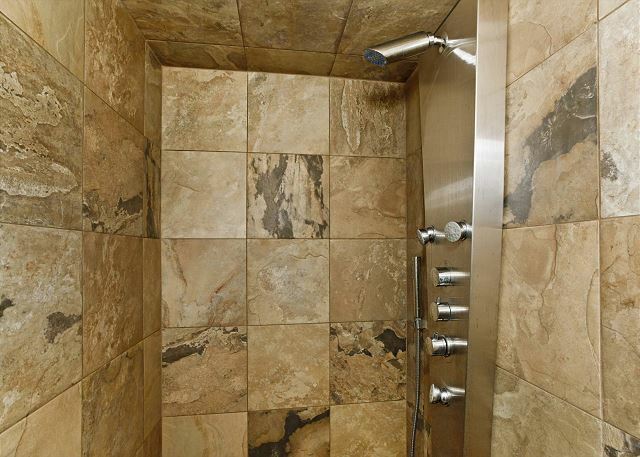 - Sandy swimming beach and surfing right downstairs! 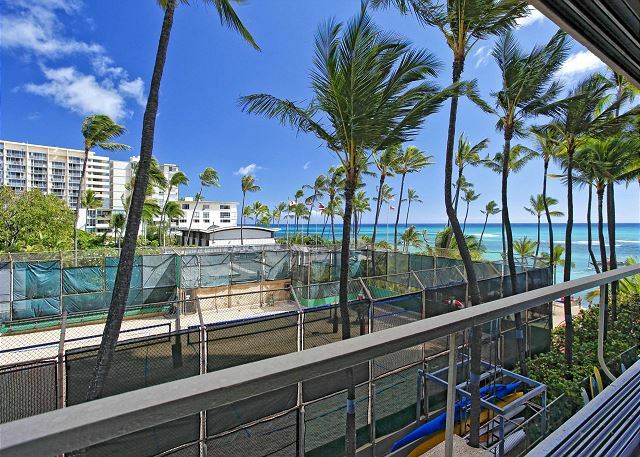 This condo overlooks the volleyball court of a private canoe club next door. 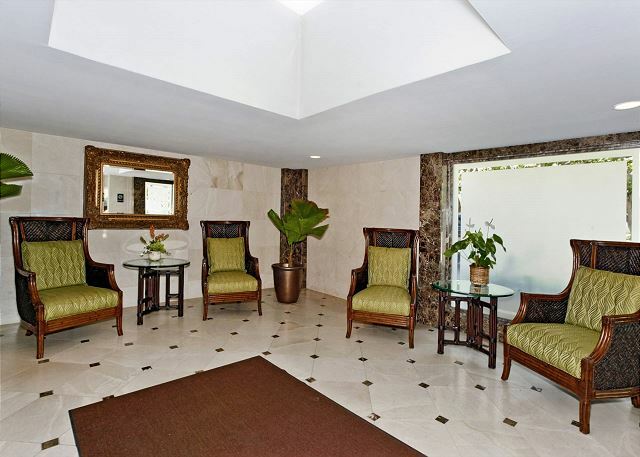 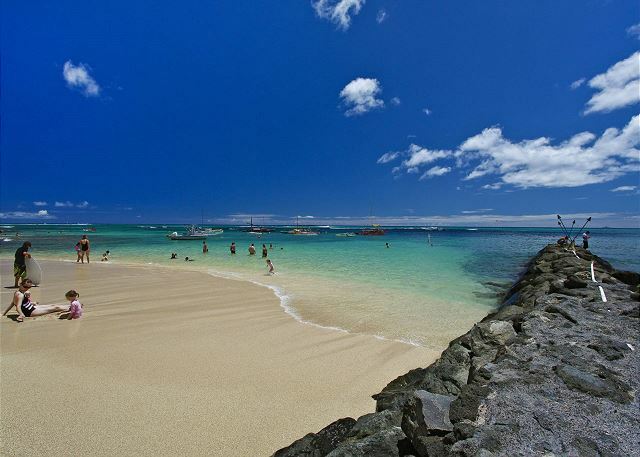 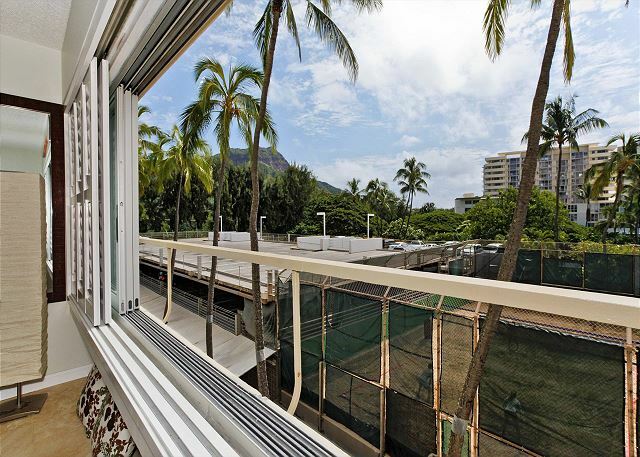 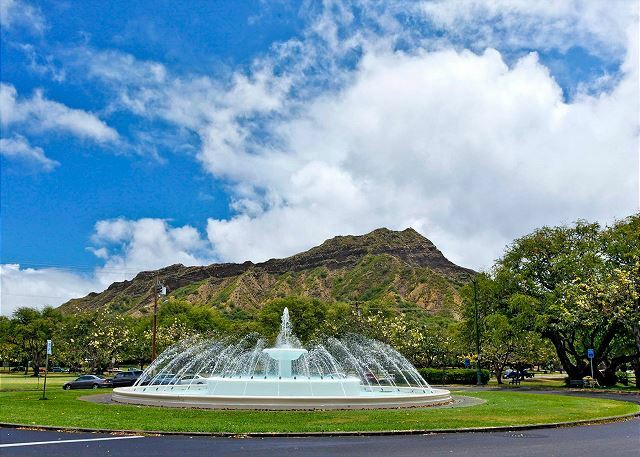 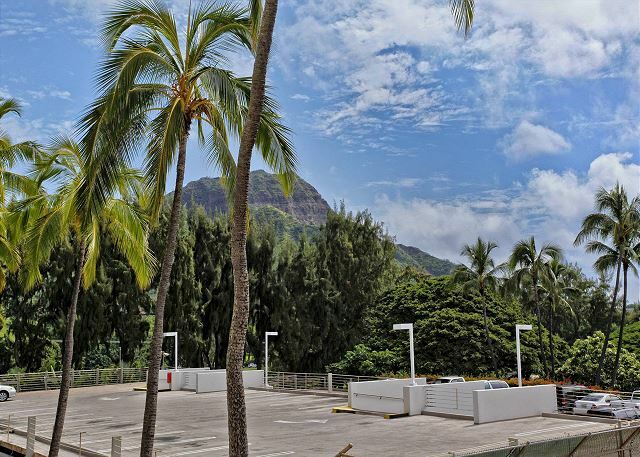 You can enjoy tennis courts in nearby Kapiolani Park (home of the Honolulu Zoo and the Waikiki Aquarium) as well as the convenience of a quiet swimming beach at your back door and world famous Michel’s restaurant on site. 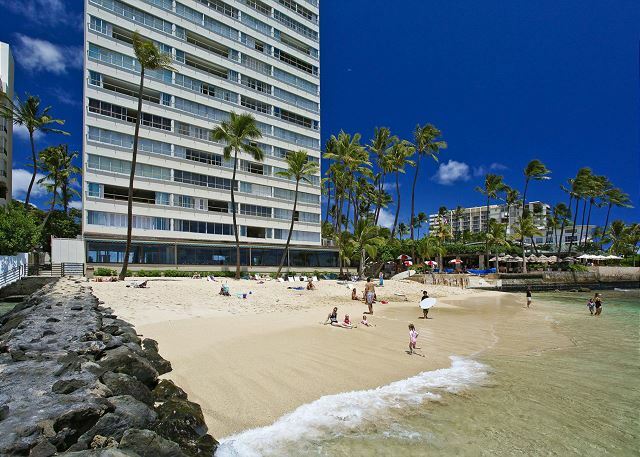 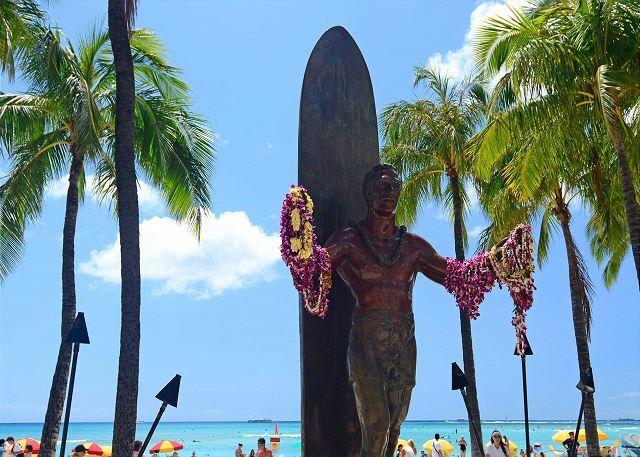 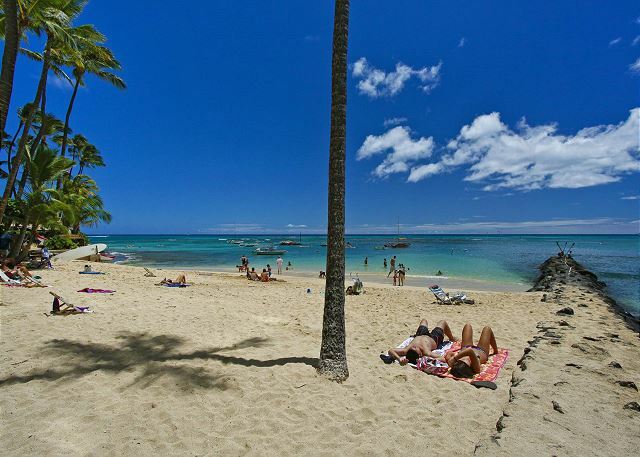 You’re just a short walk into Waikiki and bus service is also available to Waikiki, groceries and shops in the area.